Secure Shell (SSH) is a network protocol that provides network services such as remote command-line logins and data communications. It creates a secure channel between a client and a server that are running their respective SSH daemons from a particular port. However, an open SSH port represents a vulnerability that malicious users potentially could exploit to gain access to an SSH server. A system administrator can configure a firewall to hide the SSH daemon from unauthorized users, while allowing authorized users to connect to the server with SSH. This example uses iptables to configure the firewall, which is installed by default on a CentOS system. 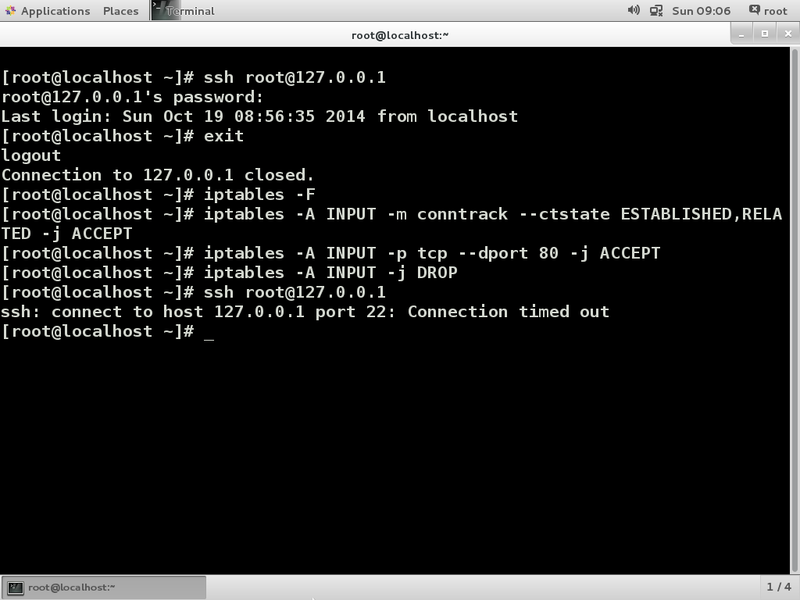 Here is a quick tutorial on how to hide the SSH daemon. Enter the password when prompted to ensure the connection has been made to the server. exit out of this session to return to the client. This rule tells the firewall to accept traffic from a connection that's already been established. Otherwise the firewall would block the current SSH session.